Gene and Terry are among our highest-ranked travelling couples and it is a great pleasure to host them today in our interview. Unlike most times, we have decided to present their photos in chronological order, as a worthy chronicle of their many decades in global travel. 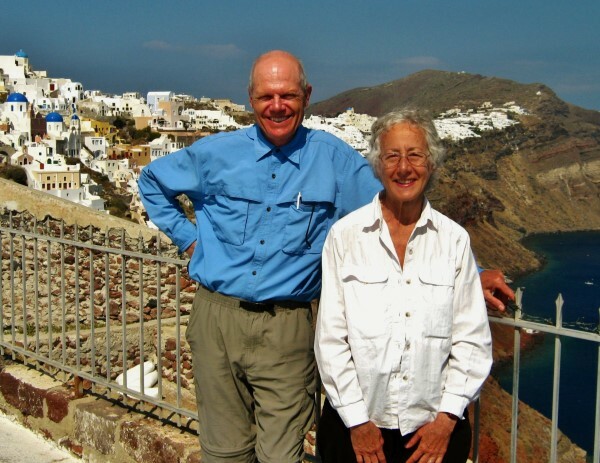 Gene and Terry, tell us something about your early years, how you met and then how your love for travel developed. Gene was raised in a Swiss-German farming community in north central Ohio and Terry in a suburban community in southeastern Pennsylvania. 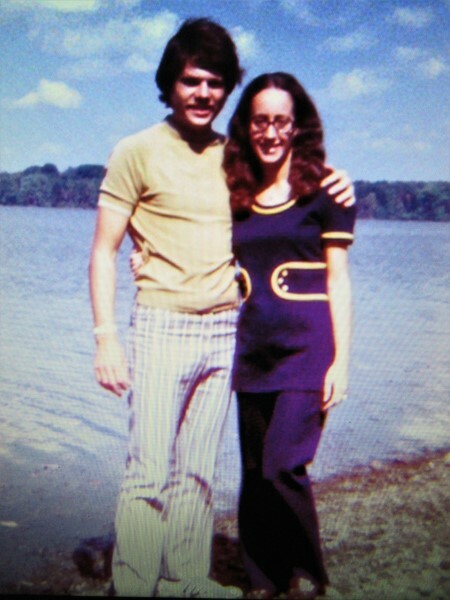 We met in 1969, as freshmen at Kent State University in Ohio, and often escaped campus life for regional parks on Gene’s 450 Honda. Those day trips became weekend getaways, such as Niagara Falls, Canada, where it poured driving through Immigration. Car trips followed, to family in Pennsylvania and Florida. We married in our sophomore year and were always making future travel plans along with getting our education and working part-time, Gene as a bus driver and Terry in a dorm cafeteria. After graduation we both joined the family business in Pennsylvania, prospered for 11 years, then decided to make a “left turn” to a less stressful way of life; a 1 year break to travel in a 23’ motorhome with our 8 year old daughter. After that first year, none of us were ready to return to “normal life”. 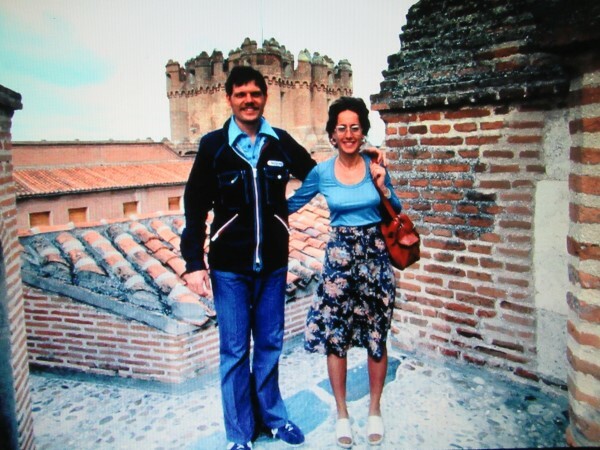 1975 at Coco Castle near Segovia, Spain. Do you always travel together? And how do you choose your destinations and organise your trips? We have been traveling together almost 50 years with this exception. At 35 years old, Gene joined a 3-week group trip to Tanzania that focused on climbing Mt Kilimanjaro. While enjoying the challenge and making it to the top, his exposure to 8 well traveled people (including a couple with their 20 year old daughter) inspired his return with a head full of life alternatives, culminating in our quest to travel the world as a family. We eventually made the decision to home-school our daughter, under the auspices of Calvert Correspondence School (grade school) and University of Nebraska (high school). 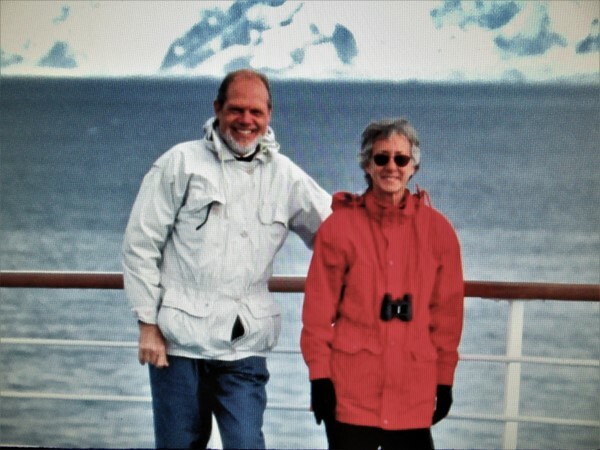 For that first year we chose to see the USA, heading north to Canada and Alaska in the hot summers and south to Mexico and Central America in the cold winters. Gene, being very goal oriented with excellent geographic skills, planned itineraries that included hiking, museums, and historical sites to provide both physical and mental exercise. During the years with our daughter, she matured to researching destinations and earned a full vote in deciding where we went. 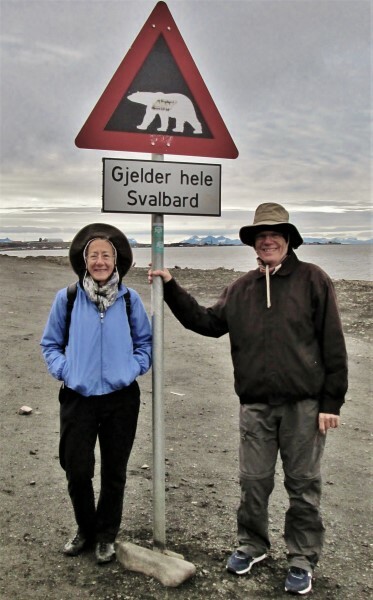 From the beginning, Gene always read about vacation spots, talked to travelers, and made notes on efficient routes that maximize good weather, allow for value travel, and provide new destinations. The internet is now our major resource and a big improvement over the early years; carrying “Lonely Planet,” receiving mail from American Express, and getting news from the International Herald Tribune. We can now load pictures on Nomad Mania while traveling, and when home, continue to research our past 92+ trips to document our travels, and use the interactive maps to see where we want to go. Once we choose an area of the world, Terry researches safety, health, and visas, Gene roughs out an ~90 day outline and over the next few months it becomes a fully reserved (often 2/3rds prepaid) confirmed trip. This pre-planned itinerary maximizes our travel time, with spontaneity reserved for restaurants and museums. 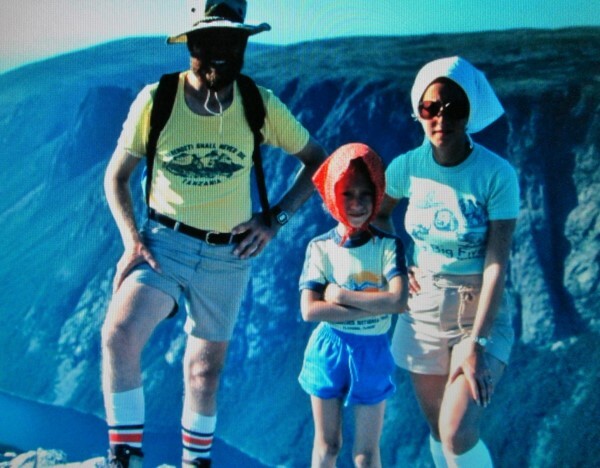 1984 - Gros Morne National Park, Newfoundland. Do you usually agree on your impressions of a place? Give us an example of a place you both agree on and one where you have different opinions. - Homogenized North America can be boring except for national parks and major cities, the East Block is having a hard time changing from their Communist orientation, Europe is all good news, Russia is not fun, China and India are simultaneously irritating and fascinating destinations, exotic Bhutan and Myanmar have very difficult roads, southeast Asia is wonderful, and we dread but eventually enjoy Africa. 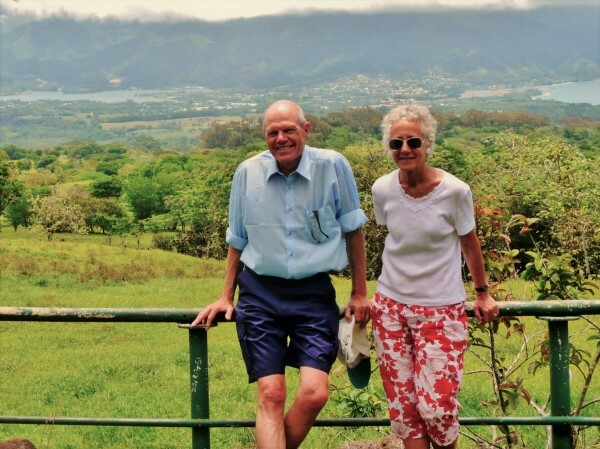 - In 1990, after several months in South Africa (recovering from Hepatitis B contracted in Malawi), Gene was ready to emigrate, falling in love with the beautiful land, hard-working immigrant population, and the value of our USD. Terry focused on the aftermath of Apartheid and feared future repercussions, so we continued our travels to Asia, Australia and New Zealand. 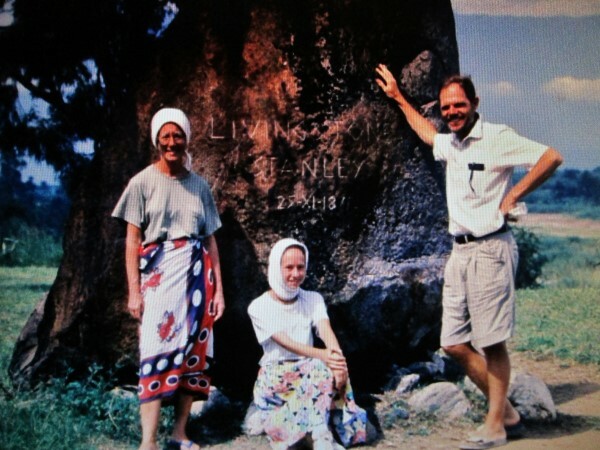 1991 - Livingston-Stanley Monument in Burundi. What is it about WHS that attracts you so much? Do you have any specific strategy in how you try to do them? The 1073 World Heritage Sites are screened to be the most significant cultural and natural areas of the world. Their remoteness gets us into areas where the scenery is sometimes more memorable than the actual site. Our first choice is to rent a car as Gene will drive in any conditions. If a car is not available, we search for a tour operator, or hire a car and driver for the day, as in India and China. 2002 off Palmer Station, Anvers island, Antarctica. You have done about 2/3 of the world's countries. What are your plans regarding the remaining 1/3? Which ones are on your bucket list and why? 6 week trip to the 5 Stans of central Asia to recreate some of the fabled First Silk Road. A 10 day trip to Jordan , with its historic capital and 3 UNESCO sites headed by Petra (scheduled on our 1985 Israel/Palestine trip but cancelled with the sudden closing of the Amman bridge). A long summer to complete Japan (including Taiwan and finishing South Korea), with their preserved Buddhist historical sites, wonderful infrastructure, and good food. 2008 - Belvedere de Taravao, Tahiti, French Polynesia. Do you believe that your worldview and impressions have been affected by your being American and if so how? And do you feel your nationality has been a plus or a minus during your travels? In 1984-1986, in Newfoundland and Labrador we discovered that Americans were openly honored for their WWII activities; then wide appreciation in Mexico as nearly everyone had a relative working in the USA. In 1989, we were sought out by the locals (often forbidden contact) in Eastern Europe and Russia, then nicely accepted in a month in Turkey in 1990. In 2007, on a 3 week visit to Vietnam, we were surprised by how forgiving and welcoming the people were. In 2002, we were the only Americans on a day cruise from Valdivia, Chile, and targeted for a most uncomfortable lecture concerning the disruption and deaths caused by President Nixon’s involvement in their 1973 Chilean coup d'état. In 2007, we heard vigorous discussions in Seoul, South Korea both for and against the US military presence. This was also the case in 2009 when we visited Vieques, Puerto Rico. We have always been comfortable to travel around the world (once eastward and twice on much preferred westward route) as Americans, especially in the years of Presidents Reagan, Clinton, first Bush and Obama. This positive reception changed somewhat with second President Bush’s invasion of Iraq, and now reinforced with the nationalist approach of President Trump. Many foreigners find our current politics curious or humorous, rather than worrisome. The USA always elicits a response, mostly positive, sometimes negative. On the whole we are simply welcomed as travelers; most people express their pleasure that we have come to see their country. 2011 - Oia, Santorini, Greece. Travel plan ; My ~100 page itinerary includes our prepaid transport(airline, bus and train tickets), hotel confirmations, and city maps with transport, hotel, and important sites indicated. 12” netbook ; Our computer gives daily access to the internet for trip research, finances, and personal info on Google Docs. Cell phone ; Terry posts pictures for friends/family on Facebook daily, uses Google maps for auto and walking navigation, and WhatsApp for local contacts, and emails when Wifi is unavailable. Camera ; The small compact with 20X telephoto lens now replaces the expensive and cumbersome 35MM F1 Nikon equipment used on our first circumnavigation. Journal ; a daily trip log that supplements our photos. Our personalized medical kit ,plus 2 each plastic cups, plates, and spoons for grocery store meals. Zote soap; Terry washes clothing every night allowing us to travel with less luggage. If you had to choose one country to live in other than your own, which one would you choose and why? We would choose southern France, likely between Bordeaux and Perpignan, for the relaxed attitudes, excellent cuisine, and easy access to the Mediterranean, the Pyrenees, and the wonderful Dordogne. You started travelling as adults. Do you feel that travel changed you? What about your daughter, did travel have an impact on her? Do you feel travel really impacts a person? Traveling in the East Bloc and Russia before the Berlin Wall fell had a big effect on our family; we felt lucky to be born in America and sad to see how far Communist idealism had let their citizens down. It was amazing to be camping in the Algerian Sahara when the wall fell, listening to a shortwave radio with a young German fellow traveler. In 1991, we visited a Mozambique refugee camp on the Malawi border at Dedza. After watching tractor trailers of US wheat and cooking oil being unloaded, we joined a priest for a tour of the mud/thatch huts, the day they were burying one of the residents. Our 2011 trip to Lampedusa also highlighted the plight of people fleeing war zones. Then last year in Italy, we talked to a young Nigerian street cleaner who told of his harrowing experience coming to that island. We were as amazed to meet him as he was to learn that we had visited Lampedusa. We have often passed US embassies with long queues, reinforcing our feelings of extraordinary privilege. These incidents cannot be replicated in a book or news program, they need to be experienced. Our travels certainly impacted our daughter; she played soccer with kids in Copan, Honduras, interacted with European kids and adults in our winter campground in Agadir, Morocco, met college students in Paris, on their way to “find themselves” in Africa, and discussed schooling with a young man in Malawi. After a month traveling in Thailand and Nepal, visiting numerous temples and meeting many young Western tourists, our daughter began an interest that would lead to her becoming a Buddhist in 1996. We made friends in a wide range of countries, some of whom we visited in their homes and some visited us in America. Several from the early years continue to stay in touch. 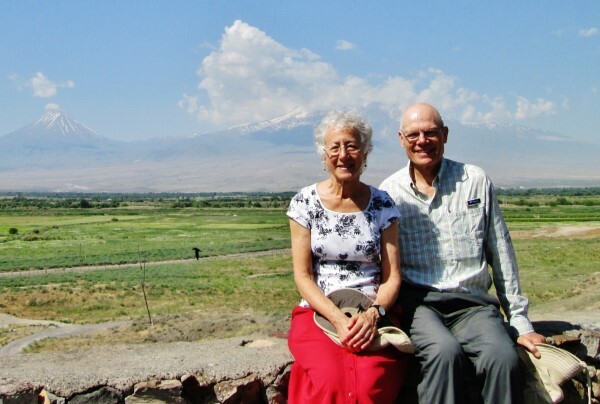 Terry feels this personal contact is the most important reason to travel; not just to see historic sites and natural beauty, but to interact and see how people live. Everyone in politics would govern better if they had spent time traveling in other countries. So what are your travel plans for the rest of 2018? After a 9-day trip to Florida, Cozumel and Havana in May, we’ll finalize the reservations for a 90 day fall Sweden, Estonia, 5 Stans, Djibouti, Ethiopia, Uganda, and Rwanda trip. In July, we plan to make reservations for a 3-month winter trip to South-Eastern India, Arabia, Jordan and Lebanon, then begin thinking about a 2019 late summer trip to the South Pacific and Papua New Guinea. Marco Polo - the 17-year-old joined his father and uncle in 1245 for a remarkable 24-year 15,000 mile overland journey to Asia. 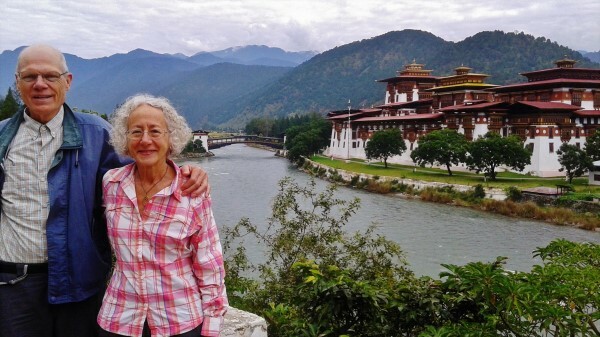 Dalai Lama - Terry took Refuge as a Buddhist in 2014 and would like to discuss his world view. Paul Theroux - his writing, observation and interviewing skills have been an inspiration to Gene, and have motivated our train travel from Beijing to Irkutsk, Kaliningrad to Skopje, Santiago to Temuco, and many others around the world. Michelle Johnson-Weider - because so much of our memorable travel was with her and she would have wonderful questions to ask all 3 guests. 2015 - Mount Ararat seen from Khor Virap Monastery, Armenia. The photos in this interview are from Gene and Terry's personal collection and we thank them for sharing them with us at NomadMania!